Heteroglossic Asia presents an analysis of geographic, historical, cultural, economic, spatial and political factors underlying Taiwan’s maritime urbanity by means of case studies based on Taipei and Kaohsiung; two cities which represent the multi-accentual character of Taiwan’s urban environment and its recent changes and development through architecture. 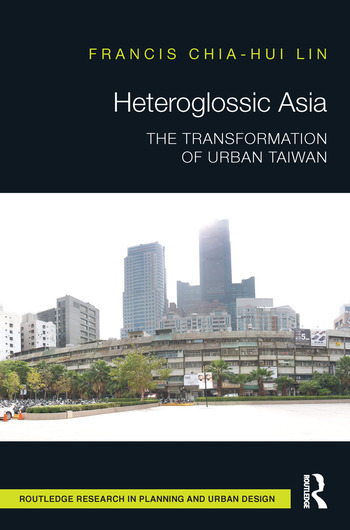 Focussing on the concept of a heteroglossic Asia Pacific, exemplified by the analysis of Taiwan’s urban transformation, the study argues that Taiwan’s urban environment shows a form of intended "fuzziness" which cannot be described as resting on either a simplified nationalist base or chaotic societal anxiety. Rather, this form lies between binary poles: autocracy and democracy, nation state and day-to-day life, top-down and bottom-up orientations, orthodoxy and hybridisation. Francis Chia-Hui Lin, PhD is a Lecturer in the School of Architecture, Building & Design at Taylor’s University, Malaysia. His areas of expertise lie in the critical discourse on the practice and profession of architecture and urbanism within a wider context of history and theory. Francis’s research and teaching interests include the Asia Pacific region, architectural and urban history, theory, art theory, architectural and urban design, (post)colonialism, the humanities and cultural history.